OldRacingCars.com has a collection of nearly 7,400 magazines and other periodicals, including complete collections of Autocourse , Autosport , Motor Sport , Grand Prix International , Formula/Racecar , Canadian Track & Traffic (on CD) and Speed World International for this period; plus Motoring News from 1963 to 1980, Competition Press & Autoweek from 1958 to 1982, On Track from 1981 to 1995, the Clymer and Hungness Indy 500 Yearbooks from 1946 to 1989 (plus the Davidson Indy 500 Yearbooks 1974 and 1975), Oxman Road Racing Annuals 1976 to 1978, Race Report 1967-1971 and a largely uninterrupted collection of Motor Racing from 1962 to 1970. We are also actively developing collections of National Speed Sport News , The Wheel , Finish Line , Racing Car News , Autosport Canada , Canadian Motorsport Bulletin , Wheelspin News , Classic Car Africa and other US, Canadian, Australian, New Zealand and South African motor racing publications. Foreign language publications are proving very helpful for F2, F3, 2-litre sports racing and for hillclimbs. A collection of the French magazine Echappement is largely complete for 1968-1977 and we also have Italian weekly Autosprint for much of the 1970s, German publication of record ONS Mitteilungen for 1970-1978, French monthly Sport Auto for 1970-1982, and growing collections of Swiss monthly Powerslide , French monthly Autohebdo and Japanese monthly Auto Technic . 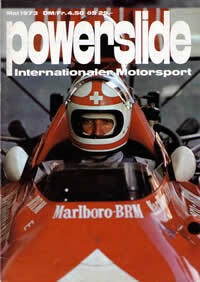 We also have access to Swiss publication of record Automobil Revue for 1960-1980. 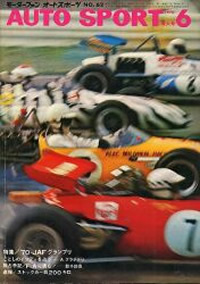 Other magazines with detailed coverage of races are very much of interest, such as Auto Italiana in Italy, Herbert Völker's Auto Revue in Austria, Sportmoteur and Motorensport in Belgium, and Auto Sport in Japan. Historic publications are also very useful for tracking later ownership of cars, for historic race results, and occasionally for their illustrating feature articles. As well as the long-standing Victory Lane and Vintage Motorsport in the US, there have also been three exceedingly high quality but short-lived magazines in the UK: Historic Race & Rally (1992-1993), Historic Racing (1994 to 1995) and Historic Motor Racing (2000-2001). Two excellent French publications are also worthy of note: Automobile historique (from 1999) and Autodiva (from 2010). SCCA Regional Publications. Last, but not least, many regions of the SCCA published newsletters during the 1960s, 1970s and 1980s, a good many of them continuing until they were replaced by email and then by websites. Some of these, notably San Francisco Region's The Wheel , Cal Club's Finish Line , Chicago's Piston Patter and New England Region's Pit Talk , were excellent publications and we are keen to acquire copies before they are lost. 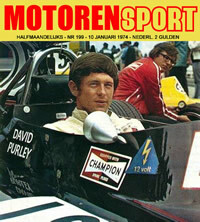 We are also starting to collect Japanese Autosport (1970s) and Sport Moteur (Belgium). This list was last updated on 6 January, 2018 .